Bulletproof skin is the brainchild of artist Jalila Essaidi and the Forensic Genomics Consortium Netherlands. Their intention is to create transgenic human skin with a layer of spider-silk embedded in between the epidermis and dermis to make it bulletproof. The project's name, 2.6g 329m/s, derives from the maximum weight and velocity of a speeding bullet, the performance standard for bulletproof vests. The silk will be woven with special bulletproof vest techniques into a matrix that can be used for culturing human skin cells. 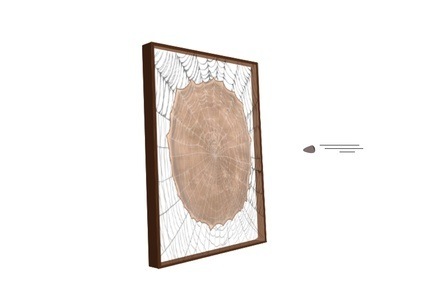 Once the flexible bulletproof spider-silk matrix is done the dermatology department of Leiden university medical center (LUMC) will help Essaidi with the embedding process. Finally the skin will be tested at the Netherlands Forensic Institute (NFI) with real bullets and be recorded with a high-speed camera. Although sf writers like Frank Herbert wrote about specially grown human skin (he called it uniflesh), I can't find an exact match for this idea in science fiction; perhaps readers can help.